Hello all, I'm Akati, some of you may know me as Ghost from the ForuMotion Support Forum and I am glad to be apart of this site. 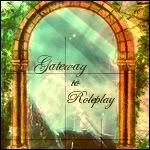 Welcome, Akati, to the Gateway! It is so nice to see you here and we hope you enjoy your stay! Welcome to GTR!! *hands over caramel Brownies* I hope you have fun. Post Lots! and visit the chat box!! Welcome to the Gateway! We hope you enjoy it here and post lots. Booze and drinking girls are in the back to the left, Chippendales on the right.